Heat water in a vessel and add soya chunks and salt. Boil them for 5 minutes. Drain and wash in cold water. Squeeze them dry. Heat 1 tbsp oil in a non-stick pan and shallow fry the cooked soya chunks till light brown in color. Keep aside. Add 1tbsp more of oil and splutter mustard seeds. Fry onions, green chillies and curry leaves till onions turn light brown. Add ginger-garlic paste and fry on a low flame. Now add the spice powders and sprinkle some water. Fry till the aroma comes out. Add thin coconut milk, fried soya chunks, vinegar and salt. Keep it covered and simmer for 5 minutes. Finally add the thin coconut milk. Mix well and switch off the flame before it starts to boil. 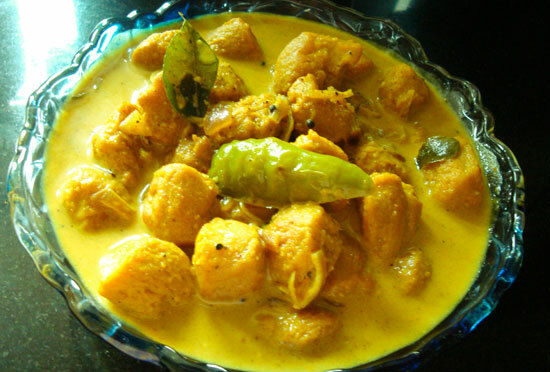 Serve tasty, healthy and protein rich ‘Soya Chunks Curry’ with rice, chappathi, poori, dosa, idiyappam or bread. Enjoy! So creamy and yummy! 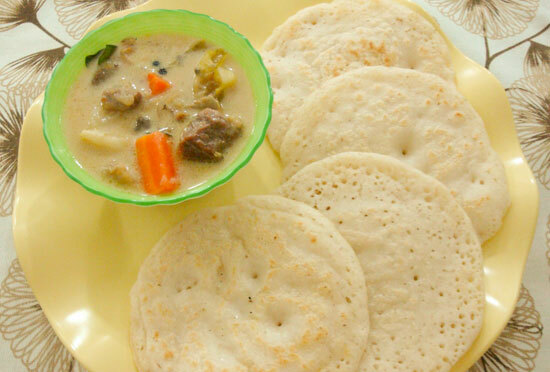 !perfect with chapati.. I have to say i never like soya chunks when i was a teenager and when mom made them, and she used to get angry saying that it is healthy etc….. But i think now that i am older i sure will enjoy the curry, though i have never made anything with soya chunks. Adipoli!! Very healthy curry but loved the ingredients used to make it more delicious!! 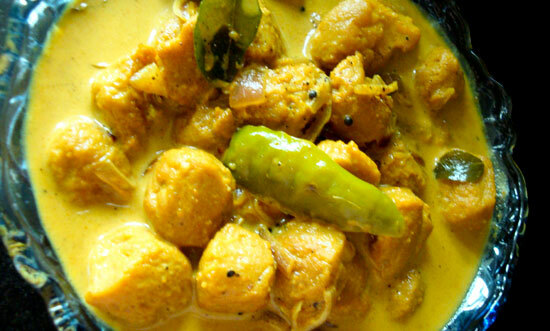 My favourite soya chunks in curry, i never say no, droolworthy curry.. Thank u soooo much ma’am…. Thank you so much for visiting my blog! I visited your site but didn’t find a place to post the comment. You have a lovely blog! Love this soya treat. Nice to be here, lovely space.